Don’t be surprised if Craig Ross is right in the thick of things down the stretch at this week’s MENA Tour stop. The 26-year-old Scot is trending nicely leading into the $75,000 Troon Series – Dubai Open presented by Turkish Airlines starting Tuesday with top-10s in the circuit’s three proceeding events. 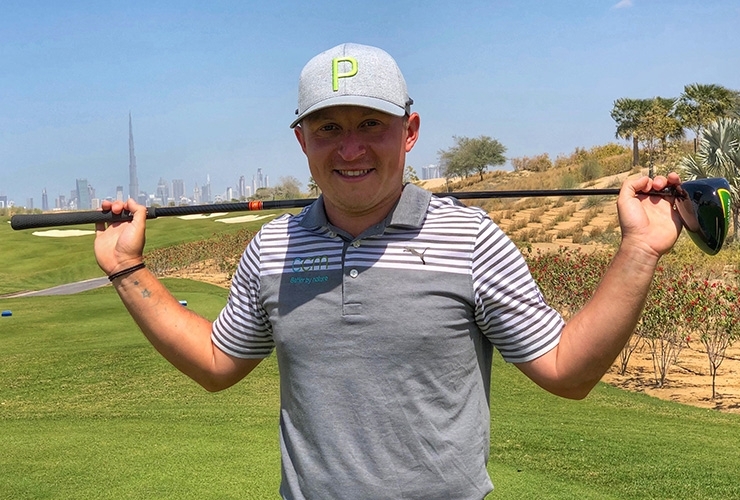 Ross tied 10th in the season-opening Journey to Jordan-1 in Aqaba, followed it up with a share of 4th at the Al Zorah Open in Ajman and went one better at Ghala Golf Club in Oman last week. “I have been hitting the ball well and putting well. 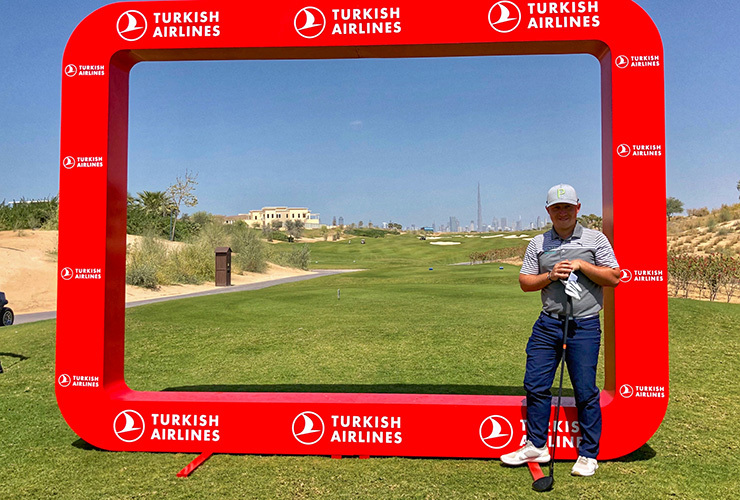 I am just going to go into this week hoping for more of the same and [see if I can] win this event,” said Ross, who recorded his first win as a professional at last year’s Clipper Logistics Championship on the EuroPro Tour. Ross actually led by three shots going into the back nine at Al Zorah before a double bogey on the 12th stalled his progress before further dropped shots on the 14th and 15th snuffed out his challenge. At Ghala, the big-hitting Scot closed with 65 and 66 but had left himself with too much to do after an opening 72. Ross expects the scoring to be low at Dubai Hills, providing the wind doesn’t kick up. Ross poses on the tee of the par-5 5th hole at Dubai Hills Golf Club. “It was quite windy when we played the pro-am, and I have been told we can expect similar wind every day,” he said. This week’s champion will cash $13,500, three Official World Ranking Points and an invite to the Challenge Tour’s Slovakia Challenge (July 4-7). 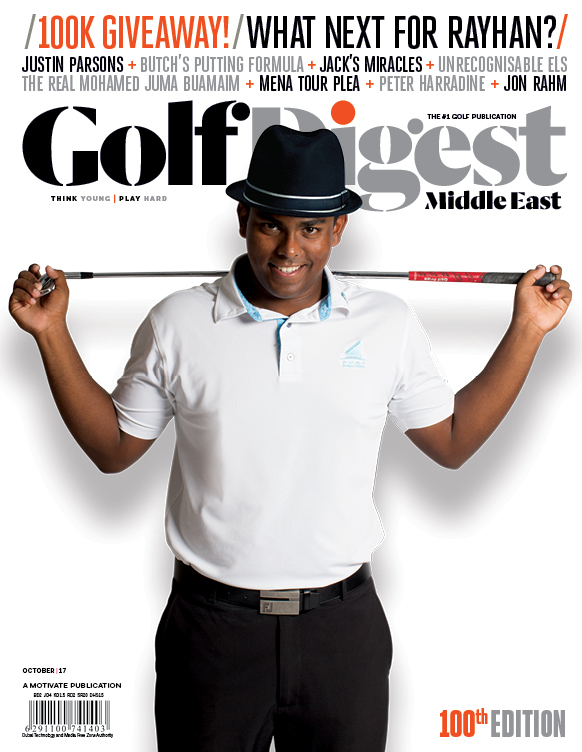 Editor of Golf Digest Middle East. Has written about golf since 1989 and owned a suspect short game even longer. With the UAE PGA professionals well “up for it” and the Emirates Golf Federation amateurs weakened, perhaps the Dubai Golf Trophy isn’t the foregone conclusion some considered it might be.